Of all the famous quotes about pearls, these words by Federico Fellini are the most accurate. Especially when speaking about the most unusual, most rare, and most famous examples of pearls in the world today. 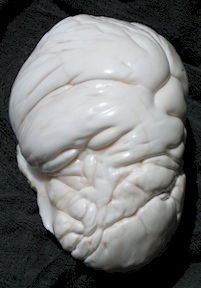 Also known as the Pearl of Lao Tzu, this interesting specimen is believed to be the largest natural pearl in existence. The pearl was found in the Philippines and given to Wilburn Cobb (an American) when he saved the life of the tribal chief’s son. Weighing in at more than 14 pounds and almost 10 inches across, it’s an enormous creation of the sea. Being found in Scotland makes it especially unusual. There have never been many pearls produced in those waters, but since the Industrial Revolution, the river has become extremely polluted. Pearls typically need pristine water to form, so that makes the Abernathy even more unique. It was displayed in a jewelry store in Cairncross for almost 30 years and then was sold in 1992. Nobody knows who currently owns the Abernathy Pearl. This beautiful pearl has a long and storied past. It was discovered near Panama in the 1500s, and then given to King Phillip II of Spain, who gave it to his wife, Queen Mary. Its name, La Peregrina, translates to The Wanderer. 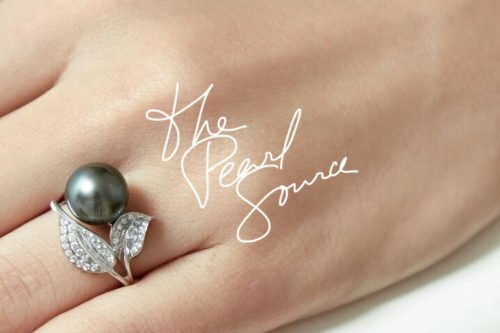 This pear-shaped pearl is huge, weighing almost 56 karats. After Queen Mary died, the pearl passed through the hands of other queens of France and Austria, and then to Napoleon Bonaparte. In more recent times, Richard Burton bought it for Elizabeth Taylor as a Valentine’s Day gift. 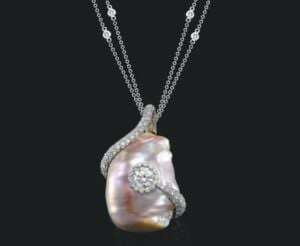 She loved it and wore it on a unique necklace with other gems such as diamonds and rubies, kick-starting a trend of pearl jewelry in modern times. It has been sold for nearly $11 million at a more recent auction. This pearl has been owned by some of the most powerful and fashionable women throughout history, and will surely continue to be one of the most treasured pieces of jewelry in the world for centuries to come. 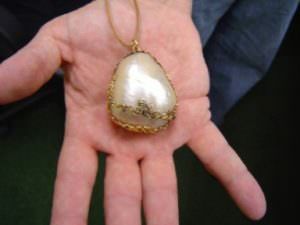 The second largest natural pearl ever discovered, the Arco Valley Pearl is reported to have once been owned by the famed explorer Marco Polo, who was given it by the Mongolian emperor Khubilai Khan. It’s the largest natural pearl outside of a museum in the world today. A baroque pearl nearly the size of a bird’s egg, the Imperial Hong Kong Pearl earned its name through ownership by Chinese royalty. An interesting teardrop shape, this pearl is known for its amazing luster and deep coloration. This pearl was discovered off the coast of California, the Big Pink Pearl was produced by an abalone. The diver who discovered this treasure still owns the pearl despite numerous offers to buy it. In 1991, it was valued at $4.7 million. The Gogibus Pearl has a long and mysterious past. Discovered by a Spanish merchant named Gogibus, the pearl was sold to King Philip IV. The pearl’s whereabouts are currently unknown although every few years, the long lost Gogibus Pearl is rumored to be seen in a private collection in various parts of the world. 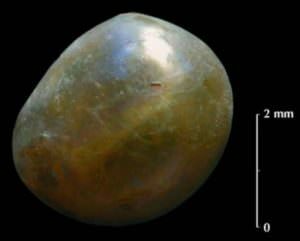 At one time, the 5,000-year-old Jamun Pearl was believed to be the oldest known pearl in existence. Older pearls have since been found in the Arabian Peninsula, but the Jomon Pearl continues to be one of the most famous pearls in the world and is a national treasure in its native Japan. Regarded as the largest saltwater natural pearl ever discovered, the Hope Pearl is an impressive specimen. It measures about two inches by four inches and weighs almost four ounces. 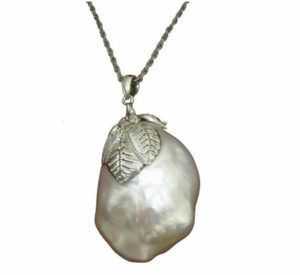 The pearl ranges from a greenish gold color at the bottom to a pure white at the top. This gem is in the permanent collection of the British Museum of Natural History, where any visitor to London can admire it. 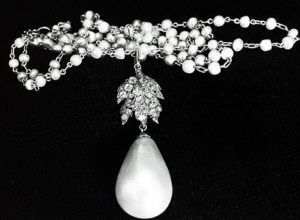 It also led to the popularity of baroque pearl jewelry. Henry Philip Hope once owned this pearl and the Hope Diamond, at the same time. 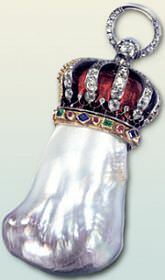 This pearl was once part of the Spanish crown jewels. It was once owned by Doña Isabel de Bobadilla, the first female governor of Cuba. Sadly, the pearl is thought to have been destroyed during a palace fire in Cuba in the 18th century. 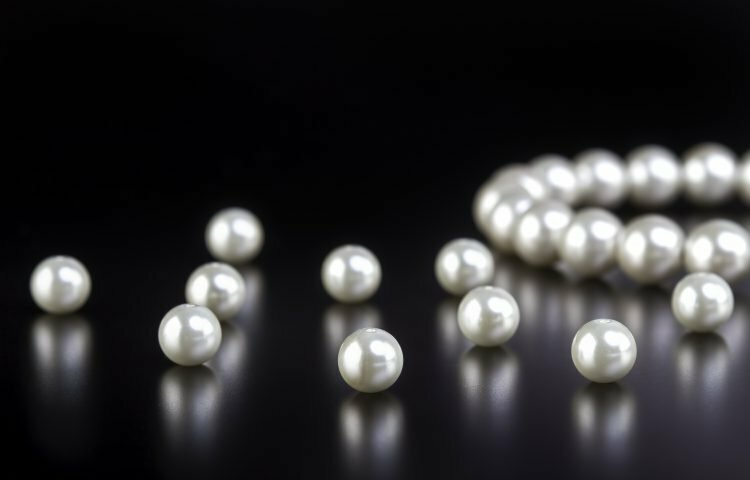 Of the ten most famous pearls in the world, each one has a unique story to tell. Traveling through history in the possession of wealthy and powerful people, the pearls have witnessed much. Regarded as natural wonders, these pearls are among the most beautiful examples of their kind. They continue to be treasured in museums, private collections, jewelry stores and “pearl history books” around the world.